Free Vintage Clipart of Wacky Children’s Book Illustration! 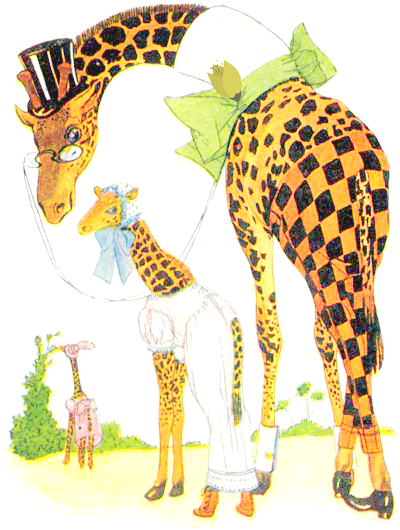 VIntage clipart of a Giraffe and baby giraffe. From a vintage 1913 children’s book. Free to use in personal and commercial work without permission. Clipart created by editing vintage digital prints in the public domain. Great for arts and crafts!